It is autumn. It mirrors my mood as I am writing to you today. As much as I am excited every Monday morning about what is on the menu that week, I am also frustrated because I know that I must get done here so that I can get home. The value in knowledge is not in the knowing, but in the doing. Everything that I know and learn must translate into products that are sold to consumers who are willing to pay for the goods. If this does not happen, I am no more than a man engaged in mind games. What I learn and the skills I acquire must change into profit for a business. On the other hand I also know, as another good friend that I met in Denmark has told me, if I have 5 years left on earth and I have to do something new, it will be best if I spend the first four years preparing for it. Working through the complexities of the matters at hand will have a reward in my life, but also in yours if you would choose to follow on this exciting path. It really seems like the most complicated industry in the world. Every day is spent on solving a giant mathematical equation. The friends name is Martin Sauer. His dad has been in the pork business all his life and has travelled extensively through Africa. I was telling Martin one day all that Jeppe and Andreas has been teaching me. Martin laughed and said that I will spend a lifetime on these matters and must not try and remember everything. When I get back home I will have ample time to go over my notes. More than this, I may learn many new things that may seem to contradict some of the things that I’ve learned. I am looking forward to meet his father because I heard that he met Livingston. It was a strange thing that Martin told me. The thing about learning things that may seem contrary to what I was taught at first. What was even stranger was that the following Monday, Jeppe told me that this was true when it comes to saltpetre and nitrite. Remember that I told you that it is the key ingredient in curing bacon? This statement is not entirely accurate. The real magical ingredient in bacon is salt! So opened up to me another vast world. The world of salt. So Jeppe started last Monday, during my lunch time lessons to discuss the matter of salt. As was the case with saltpetre, a world started to open up for me that I did not know existed. That white substance that I used so many times back in Cape Town and now, here in Denmark, without giving a second thought as to the nature and the power inherent in it. As I could have guessed, the story of the use of salt goes back much further even than the story of humanity. 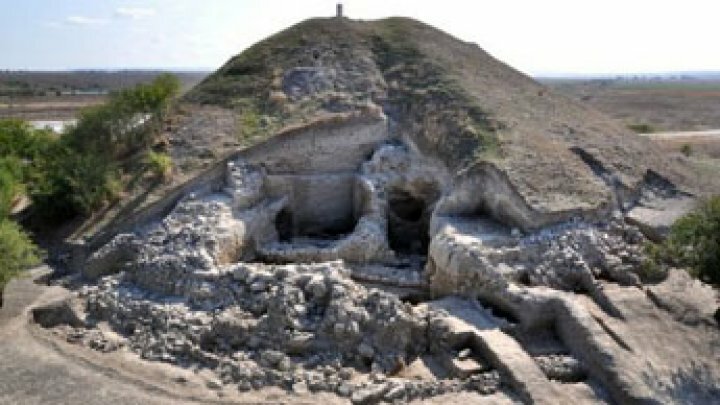 Archaeologists in Bulgaria have discovered the oldest prehistoric town ever found in Europe, dating back to the fifth millennium BC. The area is home to huge rock-salt deposits, some of the largest in southeast Europe and the only ones to be exploited as early as the sixth millennium BC. It is likely that the Neanderthals (2), some 125 000 years ago, that ancient and extinct subspecies of homo sapiens (Wikipedia, Neanderthal) were the first to use salt to preserve meat. They probably prepared and stored food “at locations near readily available salt and may well have learned to preserve food with it.” (Bitterman, M, 2010: 16). There is evidence that using salt to preserve has been practiced since before the last ice age, some 12 000 years ago. Salt deposits in the hills of Austria and Poland, the shores of the Mediterranean and Dead Sea, the salt springs and sea marches across Europe and Asia would have provided salt to cultures across the world. (Bitterman, M, 2010: 16) To this list I can add the great salt pans and salt springs across our great African land. It is doubtful that the use of the salt was very sophisticated. The next step in the development of the technique of preserving meat was curing (2). Adding salt to meat evolved into an art. Curing took meat which we culled from nature and brought it into culture. (Laszlo, P, 1998: 14) It turned the art of preserving into an expression of community and “togetherness” by transforming “preservation of food” into culinary delights of great enjoyment. The Danes are great traders and Copenhagen is a key centre for trading Saltpeter. There is evidence that by 1,200 BCE, another great traders civilization of ages past, the Phoenicians, were trading salted fish in the Eastern Mediterranean region. (Binkerd, E. F.; Kolari, O. E. 1975: 655–661) Saltworks were one of the main features of their settlements in Labanon, Tuniaia, Egypt, Turkey, Cyprus, Crete and Sicily. Phoenician ships spread the technology of salt making across the Atlantic, to Spain and as far north as England. India, China, Japan and Africa developed their own salt industries. 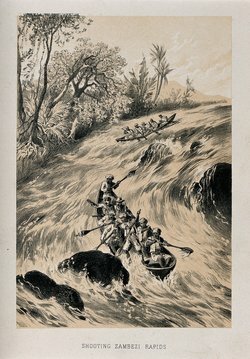 The domestication of our food sources, the need for preservation and the technology to produce salt developed hand in hand as features of the spread of culture and civilisation with humans. What was the mechanism that made salt such an effective preservative? In order to understand the mechanism of salts preservative power, we must first understand salts composition. Before the 1700’s, scientist could not distinguish between the different alkali metals. Sodium and potassium were often confused. Potassium was produced artificially by slowly pouring water over wood ashes and then drying the crystal deposits. Some of these metals were also found naturally on the edges of dried lake beds and mines and sometimes at the surface of the ground. In 1802 Humphry Davy was appointed Professor of Chemistry at the Royal Institution and soon after Director of the Laboratory. 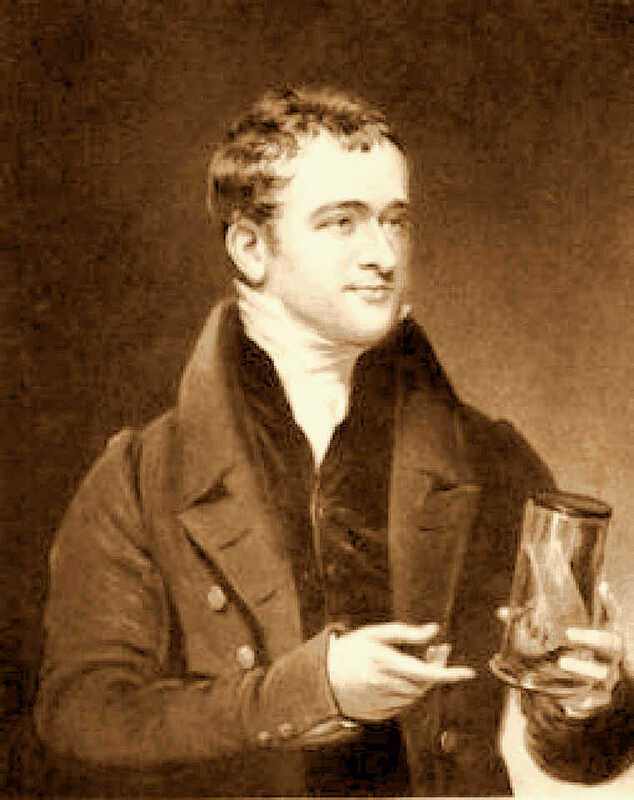 Humphry Davy, an English Chemist, was the uniquely talented young man who changed history when he isolated sodium and potassium in 1807. He had the first direct electric current generator at his disposal, the electric battery that Alessandro Volta had invented in Paris in 1800. Davy ran an electric current through caustic soda (sodium hydroxide) and was able to isolate sodium from it. He did the same for potassium, isolating it from potash. Chlorine was already being produced through electrolysis by the decomposition of sea salt by the electric current. Caustic Soda and chlorine had many applications by the end of the 1700’s. The importance of this is that the knowledge that the salt used for preserving food is mainly sodium chloride, existed from the early 1800’s. It was now possible to analyse the nature of sodium chloride and the other kind of salts that exist. The nature of the composition of salt that has been dissolved in water and the interaction between salt and meat and between salt and microorganisms such as bacteria that are present in meat. 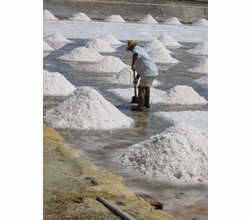 It is possible to look at everything that make up sea salt and salt from inland springs and dry salt beds and we can begin to understand and appreciate the effect of salting meat and how it happens that it preserves the meat. As I have learned, answering these questions would be very important in order to improve the consistency and the quality of the bacon we cure. It has been a very busy week-end. Martin took me around the old city. I am excited to learn more about Livingston from his dad since I have heard that Livingston has seen many of the great salt beds and natural salt springs in Africa. So much work has been done by scientists in Europe and America, in India and China. Has there been any discovery in Africa that can help enhance our understanding of the effect of salt on curing in order to improve our processes and procedures and ultimately our products? I am excited for the new week. Martin agreed to take me along when he is meeting with ship owners who buy their bacon. I hope to learn much from him. He has been trading with many of the Europeans who have moved into the north and central parts of Africa. I continue to miss you guys. Keep my letters. Read them often. Work hard in school. Help Ava around the house. This does not correlate with the statement by Smith and the American Encyclopedia about the fact that normal salt was equally successful in curing meat.